Yes! 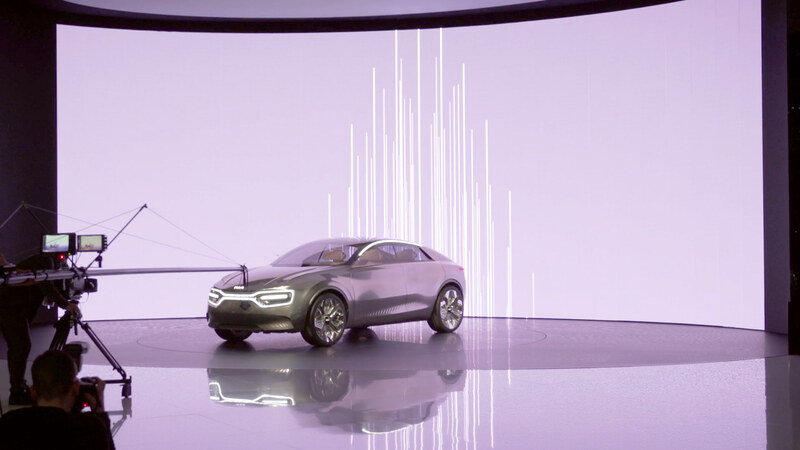 that’s the Audi stall at the 2019 Geneva Motor Show you see in the featured photo above, it’s screaming ‘Electric’, at least Audi seems to be a bit more serious about electric vehicles than the other traditional automakers. Several manufacturers showcased more than 20 different electric cars, vans, and bikes at the Geneva Motor Show this year, this is a growing trend as compared to previously on a handful of electric vehicles were presented. 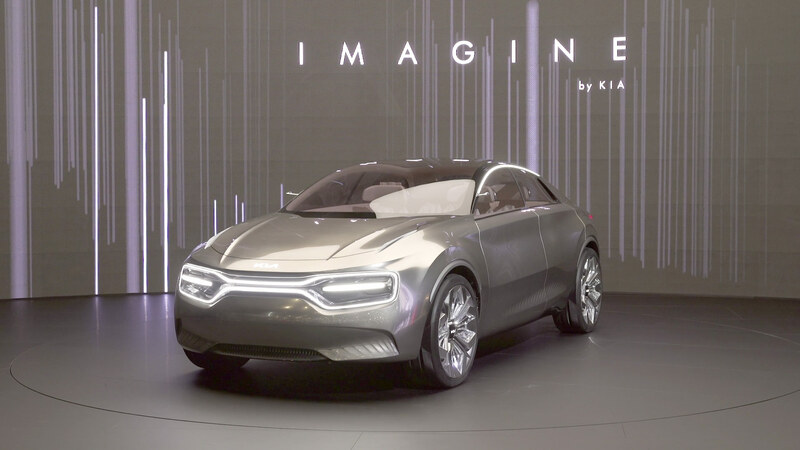 The main point of attraction were the Audi, Honda, Kia, and Pininfarina booths where these companies showed their upcoming electric concept cars, the Audi e-tron GT Concept, Audi Q4 e-tron Concept SUV, Honda e Prototype, Kia Imagine CUV Concept, and the Pininfarina Battista electric hypercar aiming for a 0-60 mph in less than 2.0 seconds. 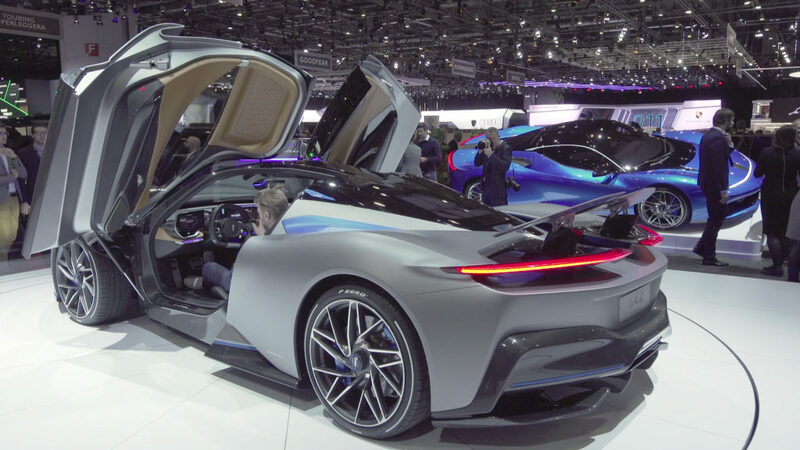 Let’s check out the highlights and photo galleries of the cars listed above and a 2019 Geneva Motor Show electric vehicle featured video by Fully Charged. Audi’s electrified vehicle lineup has adopted the ‘e-tron’ moniker, Audi’s first all-electric SUV the original ‘e-tron’ is now in production, we covered the e-tron in a detailed overview with Fully Charged’s review video a while ago. 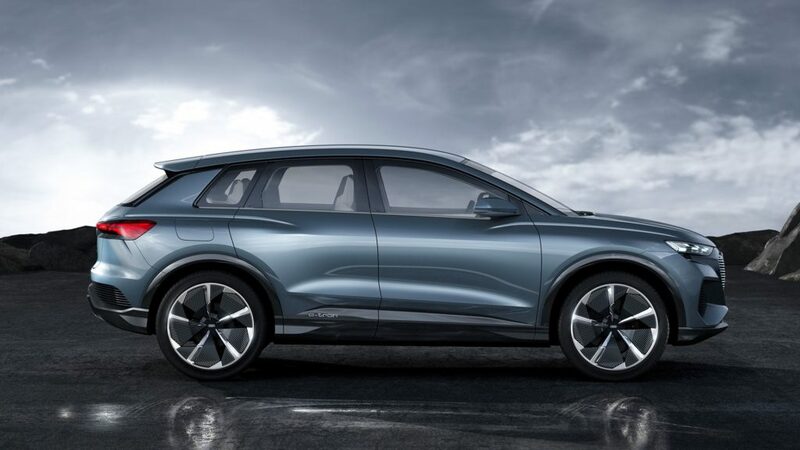 At the 2019 Geneva International Motor Show, Audi ‘Q4 e-tron Concept’ had its world-premier, as the name suggests, this compact SUV is the fusion of their ICE lineup’s Q4 and the Audi e-tron SUV, the result is the electrified version of the Audi Q4 like Hyundai created the Kona Electric. 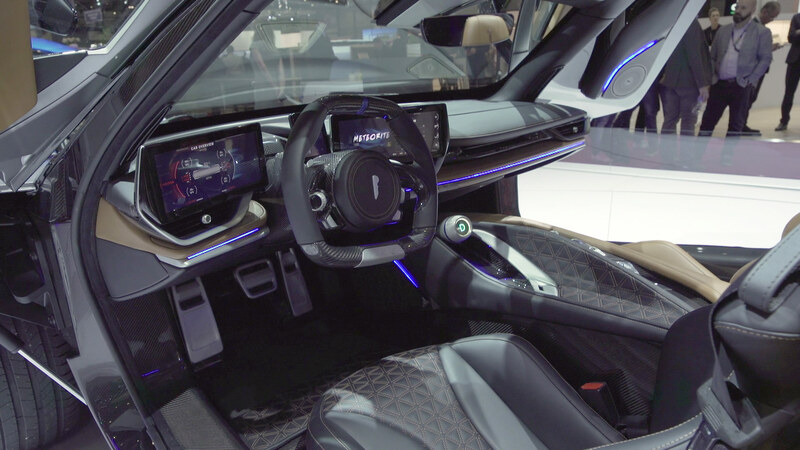 Q4 e-tron concept’s cabin looks more practical than the e-tron SUV‘s as Audi decided to reduce the number of screens and since the Q4 e-tron has side-view mirrors instead of cameras, the two small screens on the sides of the dash have gone and that looks better. 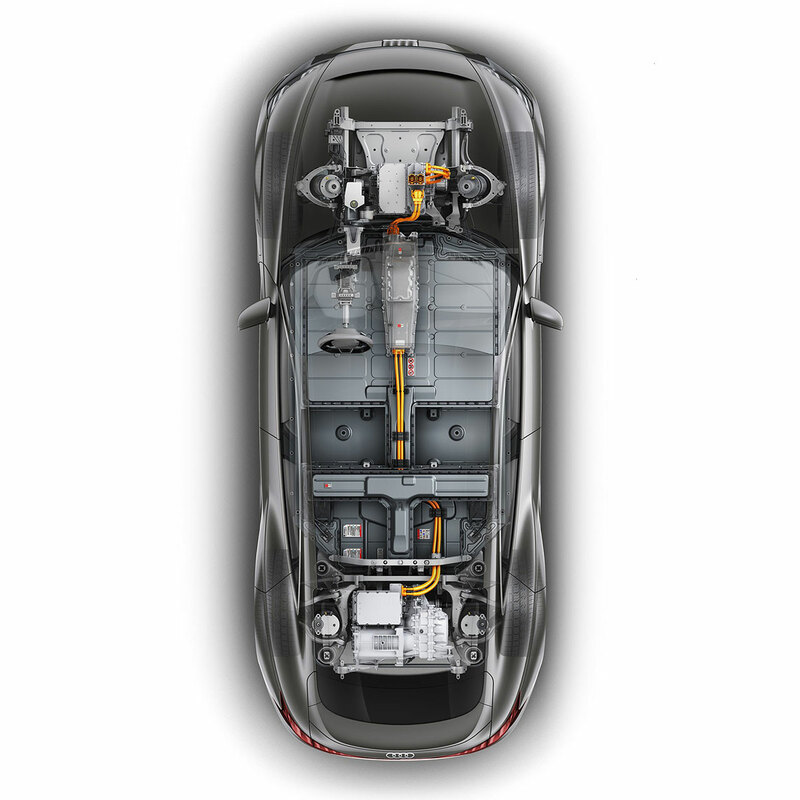 The Q4 e-tron concept holds an 82 kWh battery-pack in its floor and dual-motor drivetrain that Audi calls ‘Quattro‘. According to Audi’s specifications, the Q4 e-tron concept SUV can perform 0-100 km/h (0-62 mph) in 6.3 secs with an all-electric range of 450 km (~280 miles) as tested on the WLTP standard. Audi Q4 e-tron concept is built on VW’s Modular Electrification Platform (MEB) which will be used in the future to build the company’s compact to superior medium-sized vehicles. 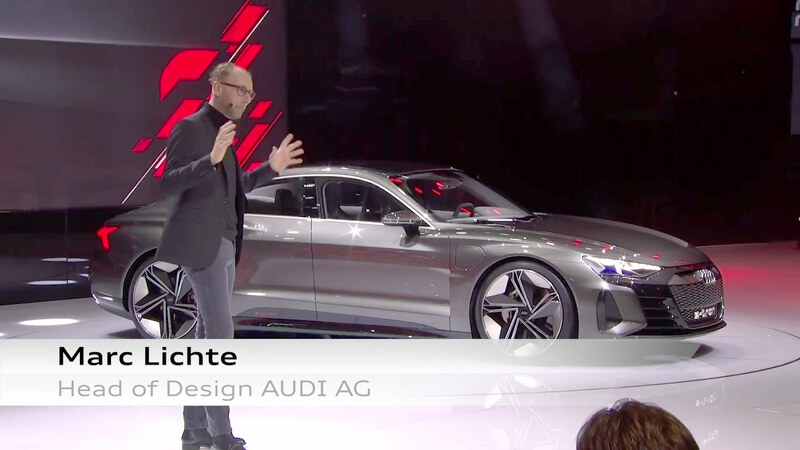 Next is the Audi e-tron GT concept — unveiled at the Los Angeles Auto Show last year, the car made headlines and the world praised its design, this is how an electric vehicle should look like, thinks the EV community. The e-Tron GT concept electric sedan is aspiring to be a Tesla Model S competitor and it is a tough candidate in our opinion, beautiful, bold and practical, Yeah! Audi estimates that the e-tron GT concept will go into volume production by the end of 2020 — according to Audi the car will have a 90 kWh battery pack that delivers a 400 km (248.5 miles) of range with instant torque enabling it to go from 0-100 km/h (0-62 mph) in just 3.5 seconds. 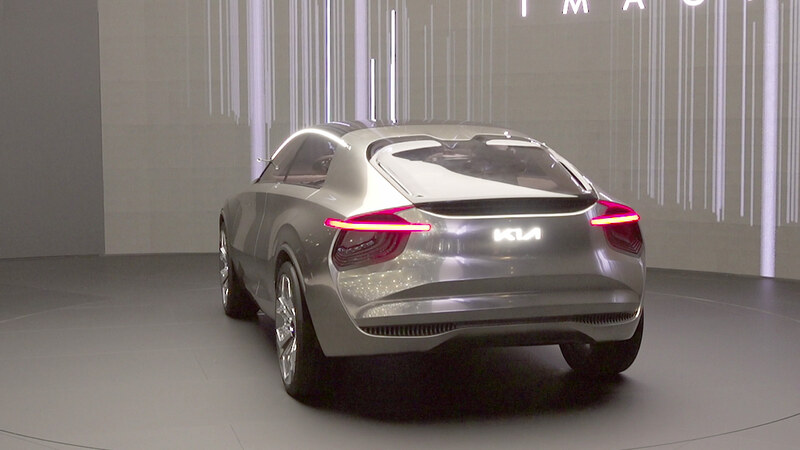 A 4-door electric concept car indicating a more progressive design language for future Kia models. The concept defies easy categorization, combining the muscularity of an SUV with the elegance of a family saloon and the versatility of a crossover. Now that’s one hell of a hypercar, the design of the car is yelling I am ‘Italian’, Pininfarina claims this will be the most powerful car ever to come out of Italy with 0-100 km/h (0-60 mph) in under 2 seconds. The Pininfarina Battista has a 120 kWh battery-pack that cranks out 1900 hp and 2300 Nm (1696 lb.ft) of instant torque. 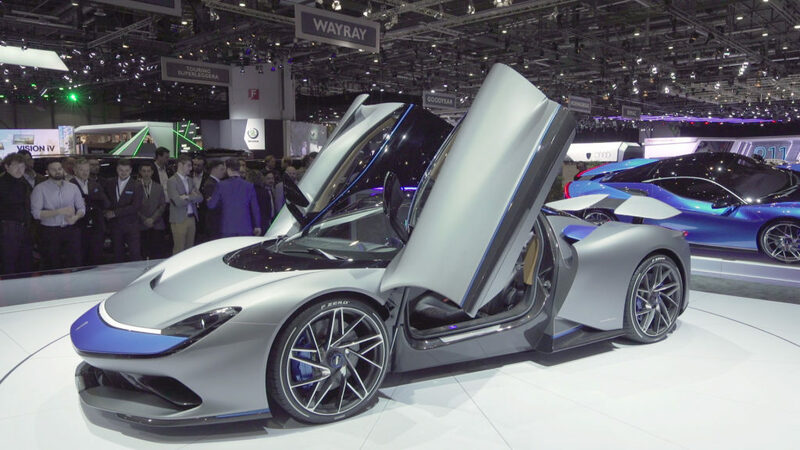 Pininfarina Battista can achieve a top speed of 317 km/h (217 mph) with the help of the quad-motor electric drivetrain that is based on the tech and platform borrowed from the Rimac Concept_2 hypercar. 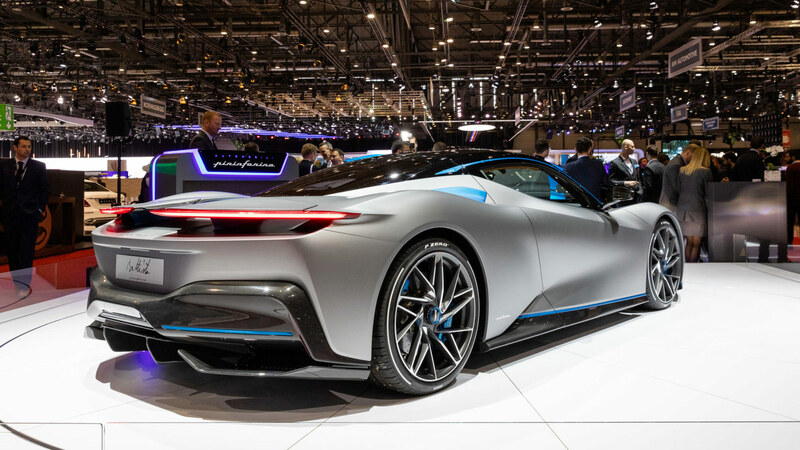 Only 150 of these electric beasts will be ever made and Pininfarina has already sold half of them with pre-orders from around the world, this car took the 2019 Geneva Motor Show by storm and must have ignited some concern over at the Tesla Roadster helm. 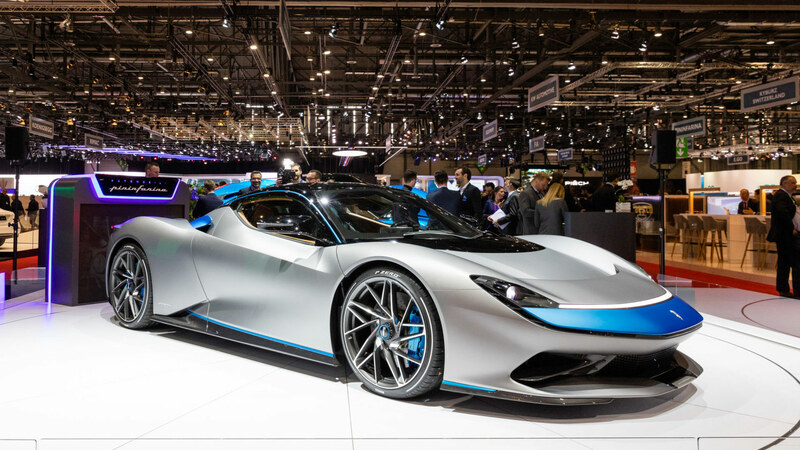 Above: Photo Gallery of the Pininfarina Battista electric hypercar. Stunning photos by #GimsSwiss. 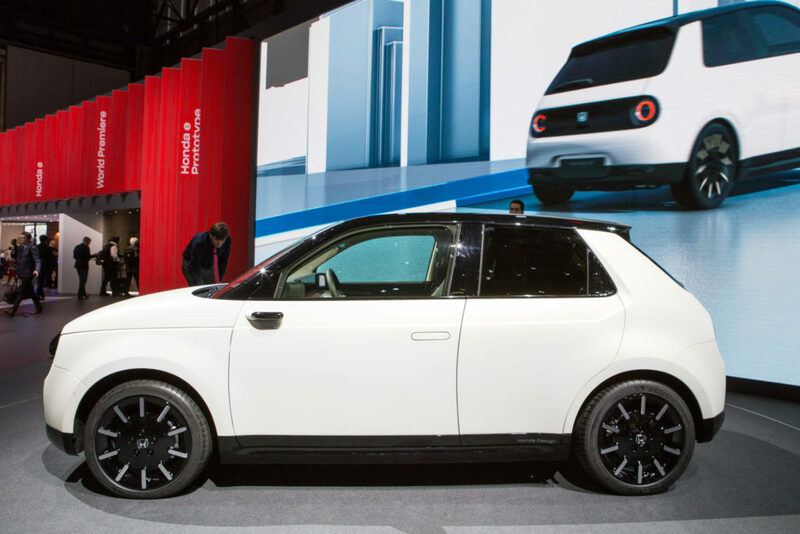 Evolved for the better from the Honda Urban EV concept, this was probably the most adorable electric car at the 2019 Geneva Motor Show. The Honda e Prototype is the closest to the production version, according to Honda this car will go for sale as early as this year. This small electric car has design roots in the first generation Honda Civic, a perfect union of the retro and contemporary automotive design. 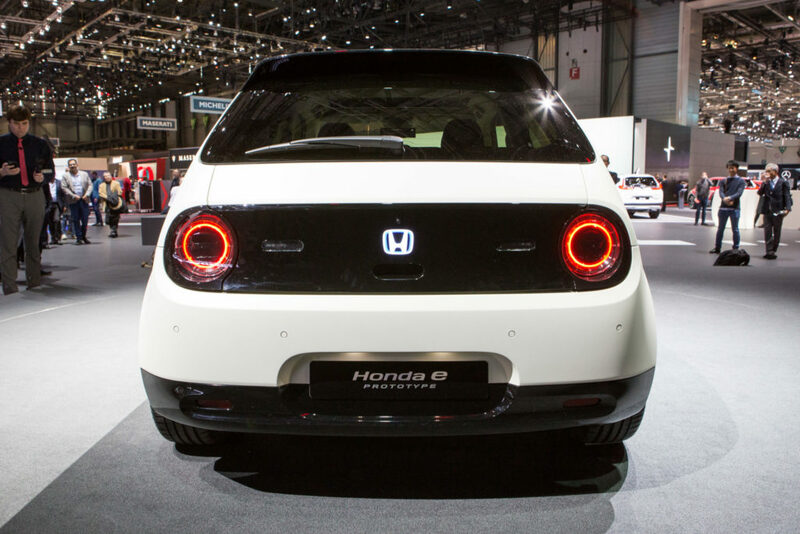 With a proportionally long wheel-base, the Honda e Prototype can carry a relatively larger battery-pack — Honda is still reluctant to disclose the battery and range details on this electric bunny. 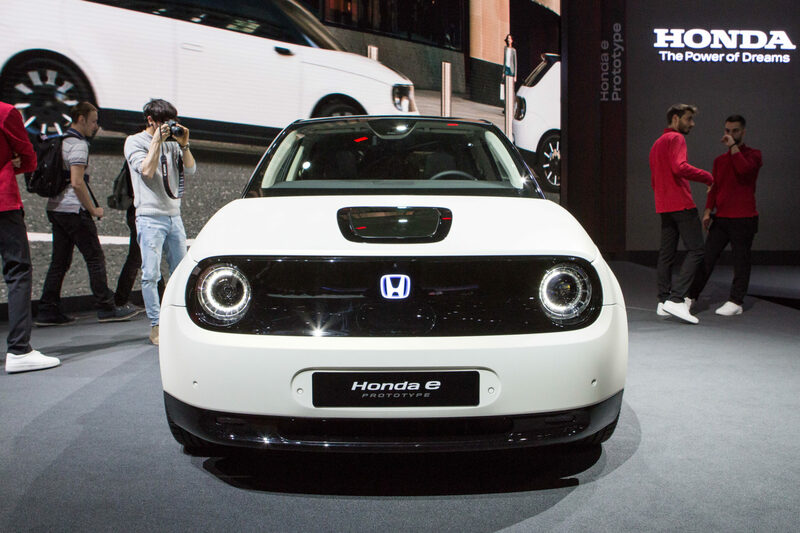 Let’s look at some of the photos of the Honda e Prototype from the show and further EV highlights from Fully Charged below, do let us know your thoughts in the comments section.